Nothing to me is more comforting than a big bowl of cheesy grits, preferably with a fried eggy on top. It’s also my son’s favorite breakfast, although he prefers his egg scrambled. Cheddar grits are amazing, but in our house we tend to gravitate more towards mozzarella, sometimes with a little Parmesan or Romano cheese mixed in. 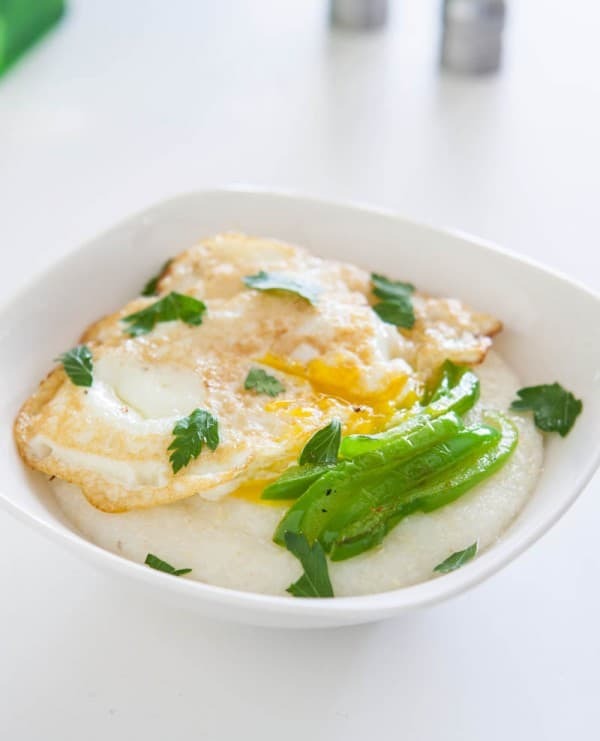 This Italian spin on southern grits is so amazing. You can also add a little garlic which is also incredible. For these grits, I topped them with sautéed bell peppers before adding an over easy egg. 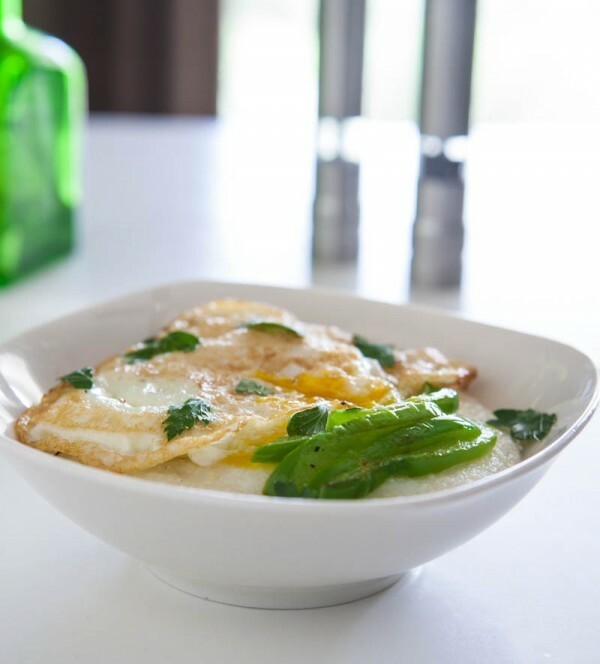 The soft yolk mixed in with the creamy cheesy grits is just to die for. It makes a great breakfast for any day if the week, and would also be perfect for weekend brunch. Imagine tossing on a few sautéed shrimp. Fancy brunch done! Bring water and milk to a boil in a medium saucepan and add grits. 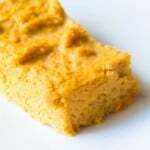 Cook over low heat, whisking frequently until grits are thickened. After they are sone, add butter and cheese and stir to combine. While grits are cooking sauté green peppers in a little vegetable oil. When they are done, remove from pan. Fry eggs to desired doneness. 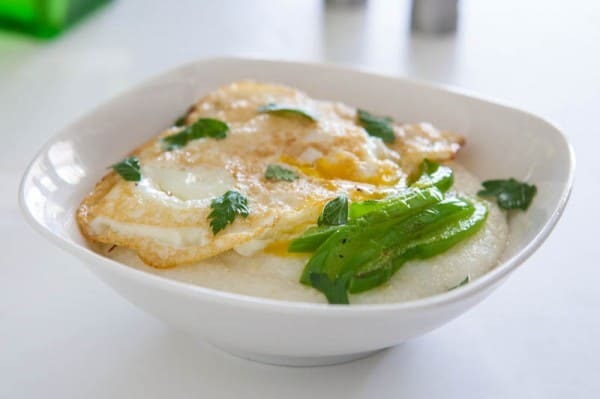 Serve grits toped with bell peppers and fried eggs. Garnish with Italian parsley if desired. This looks incredible! I could eat this every single day!